Michael ‘Patch’ Styles is a modern day great of the first statewide league era. He was a consistently brilliant player for Glenorchy in a lean era for the Magpies. Not only did he regularly represent Tasmania, but also captained the state on two occasions. 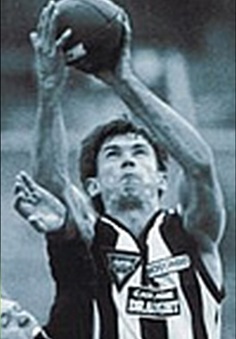 Always giving more than 100% for the cause at club or state level, Styles was rewarded with a state premiership in his final season when the Magpies overwhelmed the competition in 1999. Styles has been honoured with the captaincy of Glenorchy’s Team of the Century.